If you’re involved in youth leadership, community wealth building initiatives, or culturally appropriate food programs, then MA’O Organic Farms is for you! We asked MA’O co-founders Gary and Kukui Maunakea-Forth, to tell us a bit more about the organization they’ve been creating over the past 20+ years. Read on to be wow-ed by the sense of community and pride that MA’O has cultivated with its family and friends, and watch the video clip featuring Kaui Sana, MA’O’s farm manager. MA’O Organic Farms Background: •	Give us your elevator pitch! Why was MA’O Organic Farms formed? In the late 1990’s Kukui and I, and a group of friends that were educators, students, activists, small business owners, found ourselves increasingly frustrated (and frankly disappointed) with the lack of real solutions being offered by local and State leaders to our community’s socio-economic problems. We had been inspired by the rise of a Hawaiian place-based, `aina-based (land-based) and community-based economic development movement, and thought that within the community deficits there were opportunities to mobilize the energy of young people. We also had young children of our own, and we wanted a better and more culturally rooted education system for them, we wanted them to grow up in a Hawaiian community that was safe, and where residents respected the environment. We also grew much of our own food, as did our parents and grandparents. Our community is rural; we have great soils, and a warm climate to grow food year round. In ancestral times, the community grew all it’s own food, again- this fact continues to provide inspiration and motivation for our continued work. o	Who do you serve? The community of Wai`anae and the Leeward region of O`ahu, but we also serve future generations, and are honoring the kuleana (responsibilities) given us by our ancestors. o	What specific needs are you addressing? Highest poverty of any community in the State, low education attainment, homelessness, lack of access to good nutritious food…. A lack of root cause solutions o	What makes your organization stand out? (Tell us a little bit about your programs!) 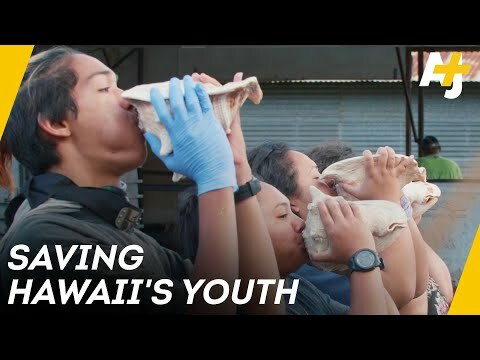 It’s driven by youth and a youthful staff -- the farm is managed almost entirely by native Hawaiian youth aged 17 to 30. It’s a full production certified organic farm, we’re one of the largest and most productive farms in the State of Hawaiʻi. Youth in our programs help to collectively manage the farm while also attending college full-time – so they lead incredibly active lives as leaders at the farm and in their homes, schools, and community. o	Tell us about your organizational culture. What’s it like to work at MA’O Organic Farms? The culture of the social enterprise is energetic! We are driven by a commitment to “dailyness”, excellence and innovation and so there is always a sense of excitement in being able to work on the ʻāina (land) and produce good food. We start work at 5am harvesting vegetables. Even professional staff that you’d except to see in an office supports the enterprise (and vice versa) because it’s where deeper learning/mentorship occurs. So the culture is very familial, very supportive (and honest), and very rooted in our Hawaiian values of aloha ʻāina (love for the land which feeds us). o	Are there any organizations or individuals you look to as a role model in your work? Why? We are excited to have close ties to Hawaiian social enterprises doing food systems work, this includes http://kakoooiwi.org, https://www.hookuaaina.org, and http://www.paepaeoheeia.org - these groups all have strong leadership but they too work as community-based collectives. There are organizations in Aotearoa-New Zealand working on indigenous education systems like https://www.twoa.ac.nz as well as many tribal organizations and first nations initiatives globally. We are continually amazed by the work at UC Santa Cruz of the Center for Agroecology and Sustainable Food Systems https://casfs.ucsc.edu program. At the University of Hawaii West Oahu we helped to develop a Bachelor of Applied Science of Sustainable Communities Foods Systems https://westoahu.hawaii.edu/academics/degrees/applied-science/sustainable-community-food-systems/ - the head of the program is Albie Miles, and the chancellor of the campus is Maenette Benham, both are collaborative partners and peer-to-peer mentors Funders like Lisa Kleissner of http://klfelicitasfoundation.org and Janis Reischmann of https://hauolimauloa.org provide invaluable mentorship. o	How does MA’O Organic Farms partner with others to catalyze systems change? We have created strong partnerships with local public education provides – area high schools, Leeward Community College, University of Hawaii, as well as private education providers like Kamehameha Schools. Our theory of change requires we work with, and shift the thinking of, larger institutions that can provide wider education services/support for area youth, especially those most vulnerable to the social-economic disparities of our state. We partner to recruit and prepare youth for college, with the provision of wrap-around services, and have encouraged the aforementioned institutions to provide funding and increased services beyond the four walls of a school and further into community. At the farm, we provide internships which augment and enhance the education offerings of these institutions with hands-on experiential and applied learning in a real-world enterprise. o	How has MA’O Organic Farms evolved over the years? Our core mission, actions, and theory of change has been consistent the past 17 years- creating a firm kahua (foundation) on which we’ve grown from 5-acres to 45-acres and are now working to acquire 236 additional acres of land. Annually, there are hundreds of youth involved in our core/comprehensive programs with youth graduating from college and stepping into leadership positions at MA`O and at other organizations around the community. o	What are three keys to your organization’s success? 1. Commitment to the dailyness of kuleana (accountability), love, respect and work. 2. Commitment to youth, families and communities. 3. A deeper commitment to aloha ʻāina (love of the land which feeds us) o	Given what you know now, what are three things you wish you’d done differently as the organization developed? We have been very happy with the way things have gone. If there was one thing that we’d do differently…it would be to have done more research/analysis in the first years – that’s difficult to do when you’re up and running as an organization. Successes/Challenges o	What are MA’O Organic Farms’ proudest achievements? (We know there’s probably quite a few… but try to pick the top 1 or 2 that stand out!) 1. Youth have moved into leadership positions – Kaui Sana started with us as a 17-year old intern as a senior in high school, now she is a native Hawaiian organic farm manager (at 29-years). 2. We’ve now graduated over a 100 interns with their AA degree, 25 with their BA or BSc degrees, and had our first graduate with a MA degree. o	What does MA’O Organic Farms do really well? Why? How did you get so good?! 1. We regularly grow and distribute really tasty, affordable certified organic food, that is grown by young people. Through trial and error, these youth are being affirmed by their community for their hard work, dedication and resilience as leaders. 2. We’re working with ʻāina, with the land in the most sustainable environmentally conscious way – our soils are better than when we started farming. Our commitment to the consistent application of agroecological practices while refusing to dumb down the food system, being critical of and showing there are better options than industrial agriculture gives us integrity and pride in what we do. 3. We place youth into leadership roles, and we give them support, resources, mentorship. From the start, our commitment to growing youth leaders was key to our sustainability and resiliency as a food system- we have not waivered from that promise. o	On the flip side… o	What are the top 3 obstacles or barriers MA’O Organic Farms has faced over the years? Where you able to overcome them? If so, how? 1. The need to train, retrain, and mentor youth is time consuming. We overcome this issue as part of the “dailyness” by creating/recreating training systems within the social enterprise that assesses, analyzes and then innovates/tests solutions in real time. 2. Many of the lessons and best practices of building, restoring and strengthening a community food system are place- and people-specific. We are building the plane while we fly it- this is part of an indigenous approach, to work within and through ancestral methodologies. 3. There are many naysayers that tell us that we cannot grow organic food in Waiʻanae and that we cannot graduate Waiʻanae youth from college. By our growth and success, we offer the naysayers proof of concept and challenges the status quo toward pono (just) systems transformation. o	Is there an area that you’re trying to improve? (internally or programmatically) In our world everything from product quality to youth experience needs improving. There is an old rugby saying, “you're only as good as your next game”- we’re constantly assessing, evaluating, and tinkering with the model so that we can achieve the mission with efficacy and efficiency. As a small organization that aspires to create transformational change for increased numbers of youth, we have to become more strategic, deft, and agile. In the future, I feel we will have to lift our gaze from what is happening in our own organization and community and connect with larger movements that are disrupting the perpetuation of outdated industrial models of agriculture. Needs/Resources o	Any words of wisdom for fellow food systems leaders? Despite some tough days, we get the sense we’re doing something our ancestors would approve of, that there is a higher calling to provide nutritious organic food, to grow the next generation of community leaders, and to provide a more fair, just and sustainable model of “development”. It is a wonderful thing that MAʻO’s strength relies on the simple and daily practice of growing food – we have to keep doing that, and doing more of that. That being said, we find it really important to celebrate the good things, the seasons, the learnings, and the accomplishments. We do this as often as possible- gathering as family, friends, farmers and community around a table of good food, drink and stories. o	Have you created any useful processes/resources that you’re particularly excited about? If so, please share! This video nicely sums up our work: https://www.youtube.com/watch?v=Oju44Rdy2J0&feature=youtu.be o	What are the main challenges you’re facing right now? Anything your fellow FSLN members might be able to help with? We need friends and partners in the work to expand our farming operations to an additional 200+ acres and scaling our edu-preneurial programs to more youth, their families and the larger community. If you are interested in supporting us, please feel free to contact us at info@maoorganicfarms.org for a presentation or to just talk story! Thank you SO much Gary, Kukui, and all of you at MA'O Organic Farms for sharing your work with us!